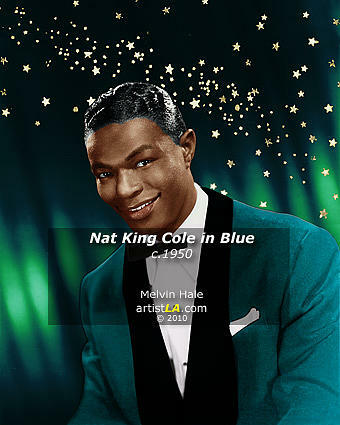 Nat King Cole In Blue C1950 is a painting by Melvin Hale ArtistLA which was uploaded on October 7th, 2010. A very vintage starry night for Nat King Cole, as he is in rare form in this digital painting from a vintage black & white photograph. There are no comments for Nat King Cole In Blue C1950. Click here to post the first comment.